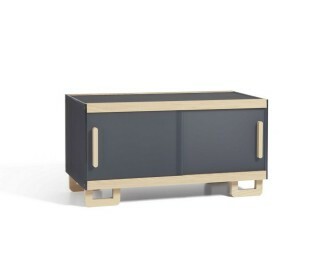 Multi-purpose storage unit/sideboard. Structure in double sand-blasted and anti-scratch methacrylate. Thickness 10 mm and 4 mm. Available 2 sizes and in the colours natural and gray, details in natural ash wood.